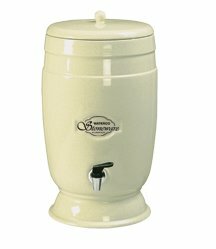 Constructed from porcelain and attractively glazed, the Stoneware Water Purifier comes in both 8L and 12L units. Its classic finish is designed to suit any decor. Requiring no plumbing or electrical connections, these simple units solely rely on gravity to initiate its water purification process.